Phuket is often referred to as the Pearl of the Andaman and it definitely lives up to its name. The island offers both tourist areas and tranquil hidden spots, all of which are sure to impress. While staying in a hotel in Phuket Patong, why not check out this list of magnificent beaches that definitely won’t disappoint. Freedom Beach is well-known for being one of the best beaches in the whole of Thailand, and it is only a short drive from Patong. This stunning location is one of the most beautiful stretches of private sand that you may ever see. To use this beach, you will be required to pay a small fee, but it is definitely worth the money. The sea at Freedom Beach is usually calm and peaceful which allows visitors to swim out as far as they feel comfortable. If sunbathing is more your kind of thing, then set out your towel and admire the stunning jungle views that surround this beach. Kata beach is located south of Phuket and is perfect for people who are looking for a secluded bit of sand that hasn’t been taken over by tourists. Unlike many beaches around Patong, Kata beach isn’t surrounded by high-rise buildings, and this makes it have a more relaxed feel. This beach does offer its visitors the use of beach chairs for a small cost. If you are wanting a beach close to bars and restaurants, then Kata beach may be perfect for you. Just a short walk from the beach, you can find a variety of restaurants and bars to suit all tastes. Kata Noi Beach is just as popular as its sister beach Kata. 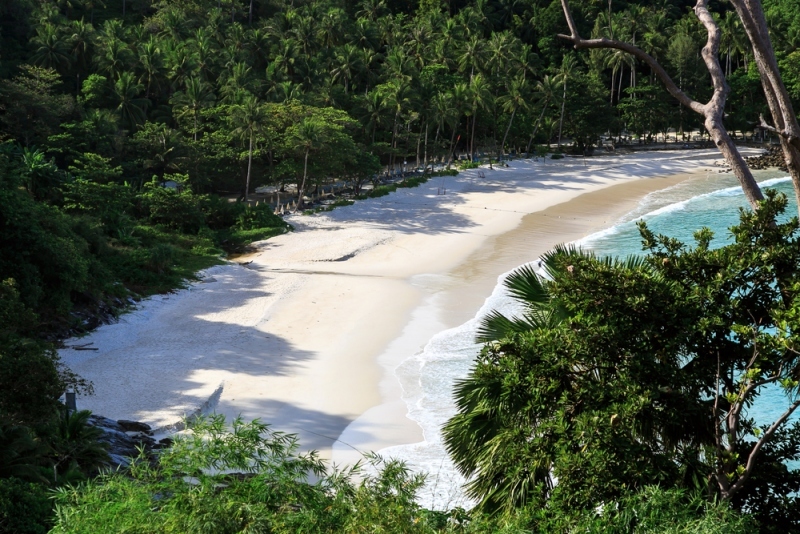 It is located to the south of Kata beach which makes it a slightly longer drive to get there. Because of this, Kata Noi beach is even more secluded, which is perfect if you want a little piece of tranquility. This amazing beach is also the perfect spot for surfers in the low season due to the large waves. If you’re looking for that little bit of luxury, then Surin beach may be the perfect choice for you. There are no cheesy souvenir shops or tacky beachside restaurants in sight; instead this stunning beach is surrounded by luxury apartments and homes. The beach is slightly busier than Kata beach, but there is plenty of room for all. It also provides tourists with some amazing views of the Andaman Sea from its beautiful white sand beaches. This beach has been given the title of “millionaires row”, so you can be assured that it will be an experience of a lifetime. There are also a variety of wine bars and restaurants in close walking distance from the beach, making it the perfect location if you want to make a day of it. Many of the beaches in Phuket are packed with tourists and surrounded by souvenir shops, but if you are after a more luxurious beach then there are certainly plenty of these too, you just need to know where to look.